MCH Group MICROMINE Qingdao TGOOD Electric Corp.
“JV” Rusburmash-Kazakhstan ” LLP is a Russian-Kazakh joint venture and was established under intergovernmental agreement signed in May 2007 between Russia and Kazakhstan. In October 18, 2007 the JV obtained State license for operation at nuclear facilities. The main type of activity is provision of wide range of drilling as well as geological services. The joint venture contributes to implementation of Comprehensive Program of Russian-Kazakh cooperation in peaceful use of nuclear energy. The Company aims to accomplish the following: Create differentiated portfolio of Customers for exploration and production drilling as well geological services at the drilling market of Kazakhstan; Provide all types of drilling and work-over services for uranium mines of Southern Kazakhstan and, thus, increase effectiveness of uranium mining companies; Significantly reduce the risks for mining companies on possible deficit of high-quality drilling services; Integrated Development of the Company is associated with increase of production capacity at the lower cost of drilling. Drilling at maximum quality and on time. Use high-tech equipment, materials, and new methods of production management;; Develop high-quality personnel staff; Ensure environment protection and industrial safety compliance during drilling operation. Development Program of Rusburmash-Kazahstan LLP currently provide drilling of geological, production, monitoring, coring, prospecting, hydrogeological, , water intake and production holes and wells. GNPP Aerogeophysica is a leading Russian company and one of world leaders in the area of providing airborne geophysical services. Every year, in Russia and abroad, GNPP Aerogeophysika carries up to 400,000 linear km of high resolution airborne geophysical surveys at various scales. The company possesses a large arsenal of the most modern airborne geophysical equipment: Airplane and helicopter-based EM survey systems of various modifications; Airborne gravimeter GT-2M; Multi-channel, high resolution gamma-ray spectrometers; High-precision, cesium magnetometers-gradiometers; Equipment for conducting infrared heat and aerosol and gas profiling aerial surveys; Satellite navigation system. The company’s staff includes 70 professionals backed up by 40 years of tradition and experience in developing, implementing, and carrying out virtually all types of airborne surveys resulting in the discovery of gold, diamond, bauxite, and other mineral deposits in the former Soviet Union. The company specialists carried out a large amount of work on mapping and assessing radioactive contamination in Belarus, Moldova, Russia and Ukraine, which developed as a result of the accident at the Chernobyl nuclear power plant. A special achievement of the company is the practical implementation of airborne gravimetric methods into the aerogeophysical surveys. As of today, the company has developed unique experience in medium-scale airborne gravity and magnetic surveys, as well as unique methods of processing and interpretation of the collected data for a wide range of geological exploration tasks. Availability of modern technology, highly skilled personnel, continuity, and experience assure the reliability and quality of work performed by GNPP Aerogeofizika. GNPP Aerogeophysica is capable of performing high-precision airborne geophysical surveys, including: Gravimetry Airborne magnetic surveys (gradiometry) Airborne EM surveys of various modifications Airborne gamma-spectrometry Airborne IR surveys as well as the aggregation of these technologies in case of their methodological and operational compatibility across all continents, under the most diverse climatic and geomorphological conditions. AGT Systems is authorized supplier of advanced technologies for exploration industry. Specifically, AGT provides integrated systems, equipment and services in the fields of Geophysics, and the Geological, Geotechnical and Geochemical sciences, including land, airborne and marine systems. Geosoft Oasis montaj and Target software packages provide a wide range of capabilities for geophysical, geochemical and geological data processing and interpretation, including 2D and 3D modeling. AGT Systems provides warranty services and technical support, training and post-warranty services on request. Atlas Copco Central Asia LLP, a member of Atlas Copco Group, offers innovative solutions in all countries of Central Asian region as well as in Armenia and in Mongolia. In these countries Atlas Copco offers: mining equipment; construction equipment; compressors and diesel generators. The company also supplies original spare parts and consumables, and provides warranty and post-warranty maintenance of all equipment. Staff of the company includes more than 400 people. Atlas Copco Central Asia LLP is one of the 20 leading companies of Atlas Copco Group. CAE Mining International Limited is at the forefront of the industry in developing and providing innovative technology and services to plan, manage and optimise mining operations. With operations in nine countries, CAE Mining offers enhanced solutions ranging from exploration data management and ore-body modelling, to mine planning and operations management. With proven expertise in mining governance and optimisation software tools and services, and extensive experience in simulation and training, CAE Mining will also introduce simulation-based mine planning, scheduling and training in an industry where safety is paramount and training costs are high. Ultimately, CAE Mining is developing the industry’s most compelling technology and services to advance the efficiency and safety of mine operations. Over 140 years experience in the design, manufacture and sales of water well, mineral exploration, geotechnical and GSHP drilling rigs, borehole servicing rigs and drilling equipment. Dando’s team of designers and engineers pride themselves on the provision of both standard and bespoke solutions for the drilling needs of any and every project. Strong is a word which sums up the Dando experience; the strength and reliability of the machines, the trading strength of the company and, most importantly, the strength of Dando’s commitment to put their customers first. Capital Contractors is the exclusive distributor and representative of Dando Drilling International in Kazakhstan. We are the affinity group that collaborates with domestic and foreign industrial enterprises on the principle of mutually beneficial cooperation. We seek to be the best in what we do, therefore we offer to our clients the most viable solutions increasing by this their market opportunities and our business reputation. The main target of our company is to establish itself as a leader on the market of technology equipment supply for production plants with the processes of crushing, milling, kilning and sorting, such as mining, cement, metallurgical, paper-pulp and other industries. We strive to provide our clients with the quality complex of services for engineering, supply, assembly and service maintenance of technological equipment. The main range of equipment that we offer is the following: Crushers: jaw crushers, cone crushers, rotary crushers, hammer crushers, toothed roll crushers. Mills: cement grinding mills, raw material mills, ore grinding mills (ball and rod mills with central discharge; ball mills with grate discharge). Calcining furnaces: rotary and vertical calciners. Drying drums of different sizes. Spare and component parts for abovementioned equipment. Central Asia Metals Plc (“CAML” or the “Company”) is an AIM-listed UK company based in London. Its main countries of operation are Kazakhstan and Mongolia. CAML is a copper producing, precious and base metals mining, exploration and development company with majority stakes in copper, gold and molybdenum projects in Kazakhstan and Mongolia. The Company’s assets include: 60% of the Kounrad copper project in eastern Kazakhstan and an operating 10,000tpa SX-EW plant, which is targeting production of 10,000 of copper cathode in 2013. 70% of the Alag Bayan copper-gold porphyry exploration licence, located in the middle of Mongolia’s prolific copper-gold porphyry mineralisation trend, 100km from the world-class Oyu Tolgoi copper-gold deposit. 80% of the Handgait molybdenum project with 42,000t of metal in resource in northern Mongolia. 85% of the Ereen gold project with c. 773koz in JORC-classified resources situated some 130km north of Ulaanbaatar, Mongolia. Currently held for sale. Central Asia Metals Plc’s highly experienced management and operations team has a proven record in Central Asia, and is working towards developing its diversified base and precious metals portfolio by identifying further value-adding opportunities and projects throughout Kazakhstan, Mongolia and the rest of Central Asia. When mining companies seek to increase mine productivity, they turn to Gemcom for technology and services spanning geology, engineering, and operations. Gemcom is the largest global supplier of mining software solutions, with more than 4,000 sites using its products and customers in over 130 countries. It is home to world-renowned mining solutions like GEMS, Surpac, Minex, Whittle, and InSite, and to industry thought leaders who are pushing the boundaries of what’s possible in mining. Now, as part of Dassault Systèmes, the 3DEXPERIENCE Company, world leader in 3D design, 3D Digital Mock Up and Product Lifecycle Management (PLM), Gemcom will continue to lead the way in delivering tomorrow’s innovations to model and simulate our planet. Hatch is an employee-owned, multidisciplinary professional services firm that delivers a comprehensive array of technical and strategic services, including consulting, information technology, engineering, process development, and project and construction management to the Mining, Metallurgical, Energy, and Infrastructure sectors. Hatch has served clients for over 80 years and has project experience in more than 150 countries around the world. With over 11,000 people in over 65 offices, the firm has more than $35 billion in projects currently under management. Hatch operates in the CIS through offices in Russia and Kazakhstan. Hatch has offices in Moscow, St. Petersburg and Almaty. For more than 20 years of Hatch’s presence in the CIS, the firm completed dozens of projects, mainly in the ferrous and nonferrous metallurgy, mining and energy. Among our clients are Kazchrome, Kazakhmys, ARMZ, Severstal, RUSAL, EuroChem, MMK, Mechel, Metalloinvest, Metinvest, Polyus Gold, Uralkali etc. IMC Montan is an independent international mining consultancy and one of the leading consulting companies in mining sector of Russia. The Group also includes such companies as DMT GmbH & Co. (Germany), IMCGCL (UK), WYG Plc. (UK). This year IMC Montan celebrated its 20-years anniversary in Russia and CIS. Since then the company implemented over 300 projects for Russian and international mining companies, investors and banks. IMC Montan is a recognized technical consultant and sector expert; its opinion is respected by analytical agencies, financial institutions and Russian state surveillance bodies. The range of the Company consulting services covers all solid minerals, all types of deposits and full cycle of the mine life. Disciplines covered by the Company services include reserve audit in compliance with international standards, preparation of mining companies for IPO, technical and technological consulting, feasibility studies, higher labour productivity or core business production build-up justification. Задачей Информационно-аналитического центра геологии и минеральных ресурсов РК (далее ИАЦ) является оперативное информационное обеспечение органов государственного управления Республики Казахстан, организаций, осуществляющих деятельность на территории республики, а также потенциальных инвесторов о состоянии и перспективах развития минерально-сырьевого комплекса Республики Казахстан. В активе ИАЦ карты различных видов инфраструктур – административной, горно-металлургической, нефтегазовой, электроэнергетической – по каждой из областей и по Республике в целом. ИАЦ предоставляет физическим и юридическим лицам геологические материалы по конкретным объектам недропользования; выпускает справочники по всем видам полезных ископаемых Республики Казахстан, сборники нормативно-правовых актов по недропользованию, аналитические обзоры; формирует и ведёт информационные базы данных о недрах и недропользовании; экспонирует образцы природных богатств Казахстана; осуществляет учебно-просветительскую деятельность среди молодежи республики в области геологии и недропользования. Kazakhmys PLC is a leading international natural resources group with significant interests in copper, gold, zinc, silver and power generation. It is the largest copper producer in Kazakhstan and one of the top worldwide with 16 operating mines, 10 concentrators and 2 copper smelters. Kazakhmys Mining’s operations are fully integrated from mining ore through to the production of finished copper cathode and rod. Total copper cathode equivalent produced in 2012 from own ore was 292 kt. Production is backed by a captive power supply and significant rail infrastructure. Kazakhmys Mining produces significant volumes of other metals, including zinc, silver and gold. In 2012, it produced 152 kt of zinc in concentrate. The Group is amongst the largest silver producers in the world with 12.6 Moz produced in 2012. Kazakhmys Power has a 50% interest in the coal fired Ekibastuz GRES-1 plant, the largest in Kazakhstan. The plant is undergoing a modernisation programme to take current capacity of 3,000 MW to its nameplate capacity of 4,000 MW. Kazakhmys Power also operates the captive power stations which supply electricity to Kazakhmys Mining. The Group is listed on the London Stock Exchange, the Kazakhstan Stock Exchange (KASE) and the Hong Kong Stock Exchange (HKSE). It had revenues from continuing operations of $3.4 billion in 2012 with Group EBITDA (excluding special items) of $1.9 billion. The Group employs around 60,000 people, principally in Kazakhstan. The Group’s strategic aim is to optimise its current operations, deliver its major growth projects and to diversify and participate in the development of the significant natural resource opportunities in Central Asia. KazaX Minerals Inc. (KazaX), based in Vancouver, is a recently re-capitalised mining corporation holding an interest in its first iron ore bearing property, the Lomonosovskoye deposit (the Deposit) in Kostanay, Kazakhstan. KazaX intends to acquire further iron ore properties to add to the Lomonosovskoye property, for mining exploration, development and production purposes. An extensive historical drilling programme was undertaken at the Deposit during the soviet era between 1951 and 1984. The results of exploration outlined skarn iron ore mineralization in two deposit sites under 100m of overburden, located 1km apart. A validation drilling programme commenced in 4th Qtr 2011 and was completed in 3rd Qtr 2012. KazaX’s project development plan aims to achieve closure of the feasibility study in Q3 2013, with mine opening targeted for 4th Qtr 2013. Infrastructure risk is negated as the Deposit is in favourable proximity to existing road / rail transportation routes, leading to established sales markets, and sources of water, gas, and power supplies are situated within 20km of the property. KeyGS provide a wide range of professional and technical services to the mining sector. Established in the UK in 1999, we undertake projects around the world and develop local partnerships to encourage strong links within our areas of business, ensuring both technical excellence and local knowledge. Services range from feasibility studies & financial assessments, exploration & drilling, mining geology, resource estimation & ore reserve reporting, mine design, safety & engineering and environmental assessments & land reclamation. Our staff and associates have a wealth of experience and always seek to provide our clients with independent, flexible, focused and cost-effective advice and solutions for all mining and exploration challenges. KeyGS have recently established an office in Ukraine, where we employ staff with specialist knowledge of the CIS countries and undertaking assessments in accordance with the requirements of GKZ (State Committee on Reserves). Through active project management, dialogue and local training we promote harmonization with international standards and best practices in mineral exploration, mine evaluation & management and the safety and wellbeing of human resources. The MCH Group (“MCH”) is a conglomerate of companies based in Asia. MCH consists of 10 companies based in four countries. The group operates its own businesses as well as advising and creating businesses for MNCs and HNIs. The company’s main focus is on Asia; however its network also spans to North America and Europe, and has access to a wide range of world-class experts in different industries. Via its China entity, MCH Consulting acts as an independent investment advisory firm with an entrepreneurial, hands-on approach to providing commercial solutions for clients. MCH provides strategic and operational advisory services, as well as business intelligence and research to corporations and high net worth individuals. The industries it has provided advice include mining, oil & gas, agriculture, FMCG, construction, government affairs, and finance, among others. With over 12,000 clients in more than 100 countries, MICROMINE is a leading provider of intuitive software solutions to the mining and exploration industry. From capturing, managing, visualizing and understanding data to controlling and reporting on mine production, MICROMINE has a solution for every stage of the mining process. MICROMINE understands the software and consultancy needs of exploration and mining operations around the world. Located in eighteen of the world’s major mineral producing capitals, our team is close to your operation. This means MICROMINE can provide you with local support and services in your language and time zone. MICROMINE’s intuitive solutions are delivered by a team of specialists who understand the software and how it can be integrated into your operation for maximum results. Qingdao TGOOD Electric Corp. designs, manufactures and services power transmission and distribution systems up to 220kV. Formed in 2004 as a Sino-German Joint venture, it is the largest producer of pre-fabricated substations and switch rooms (“eHouse”) in China today. Among other sectors, it holds the No. 1 position in the coal mining market. Among customers outside China TGOOD works with the KUMTOR gold mine in Kyrgyzstan where it realizes a 110kV substation right now. TGOOD creates superior customer value with its high quality systems through shortest delivery times at competitive cost. Rio Tinto is a leading international mining group, combining Rio Tinto plc, a London listed public company headquartered in the UK, and Rio Tinto Limited, which is listed on the Australian Stock Exchange, with executive offices in Melbourne. The two companies are joined in a dual listed companies (DLC) structure as a single economic entity, called the Rio Tinto Group. The Group finds, mines and processes the earth’s mineral resources – metals and minerals essential for making thousands of everyday products that meet society’s needs and contribute to improved living standards. The Group’s major products include aluminium, copper, diamonds, energy products, gold, industrial minerals (borates, titanium dioxide, salt and talc), and iron ore. Its activities span the world but are strongly represented in Australia and North America. There are also significant businesses in South America, Asia, Europe and southern Africa. RJC Group – a consulting company doing its best in serving clients in exploration and mining industry in Russia and abroad. Since its foundation in 2001, the company has built a good track record in providing a broad scope of services from early prospecting to design and optimization of mining operations and processing circuits. Our on-going and completed projects include those from early exploration to mining operations. Our commodity expertise covers precious metals and PGM, ferrous, base and minor metals, coal, uranium, and industrial minerals. Exploration support is one of the intensively developing activities within the RJC Group. RJC Exploration’s Director Andrey Kharlashin, PhD, and his team are actively employing and introducing an efficient exploration support program on operations within the framework of their projects. The program includes development and application of the specially built computer based core logging AGR System that complies with QA/QC requirements and is approved by GKZ (State Committee on Reserves). AGR System is a computer based core logging that covers all major structure and material criteria of ore distribution and unifies registration thereof. AGR system is the basis to develop database, core log books, and drill hole logs. The System is easy and simple, and secured against nonsystematic errors. Specialists of more than four mining companies, on whose deposits AGR System has been introduced and is intensively used, and also overseas auditors, have noted sufficient reduction in time required for cameral treatment, possibility to promptly adjust exploration drilling, and, as a result, reduction of the total cost of exploration. Sandvik is a global industrial group with advanced products and world-leading positions in selected areas – tools for metal cutting, machinery and tools for rock excavation, stainless materials, special alloys, metallic and ceramic resistance materials as well as process systems. The Group had at the end of 2011 about 50 000 employees and representation in 130 countries, with annual sales of more than SEK 94,000 M. Sandvik Mining is a business area within the Sandvik Group and a leading global supplier of machinery, cemented-carbide tools, service and technical solutions for the excavation and sizing of rock and minerals in the mining industry. Within the area of the Region CIS Sandvik Mining division is responsible for sales of equipment service and aftermarket maintenance. SGS Vostok Limited is the Russian subsidiary of SGS S.A. and member of SGS Group, the world’s leading inspection, verification, testing and certification company. Founded in 1878, SGS is recognized as the global benchmark for quality and integrity. With more than 67’000 employees, SGS operates a network of over 1’250 offices and laboratories around the world with headquarters in Geneva, Switzerland. Operating in Russia since January 1981, today we employ a staff of 2,700 people at our Moscow headquarters and the various Russian branch offices and laboratories. Close corporation “UMCC” SOYUZSPETSSTROY “offers its services in the mine shafting, execution of different types of underground and surface building and assembly jobs ; balancing and commissioning works . “UMCC” SOYUZSPETSSTROY” was founded in 2004 and it represents an industrial group, which merge shaft sinking companies of Kuznetsk Basin, East part of Donets Basin and of the Russian Federation. 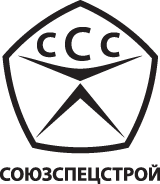 “UMCC” SOYUZSPETSSTROY ” includes such well-known and prominent enterprises as PC” Rostovshahtostroy “, LLC”Sibshahtorudstroy “, LLC”KuzNIIShahtostroy “and also known design companies LLC«RusShahtSpetsStroyProekt “and the Design Bureau of CC”UMCC”SOYUZSPETSSTROY “. “UMCC” SOYUZSPETSSTROY “”has equipment for all kinds of shaft-sinking and installation works, including tunneling machines for the construction of horizontal and inclined tunnels, drilling machines, hoisting machines, as well as a special non-standard equipment, which manufactured in our own factory Shakhtinsky Repair and Engineering Works. By our mining engineers had been built and reconstructed more than 53 mines and companies of underground and surface complexes , 7 dressing mills, technological tunnels, subsurface storages and other urban infrastructure objects. Our experts work on all types of special construction methods: common and low-temperature freezing, common cement plugging, as well as high permeability cement and chemical solutions, jet grouting, building envelope of the secant piles and “diaphragm wall”. Our designers calculate and design composite steel-concrete, cast-iron-concrete, ferroconcrete and other special design timbering. Had been developed copyright methods for determining of undergrounds loads on the lining of vertical shafts from the dewatering and drainage. Had been designed and implemented components of vertical node compliance in the lining on mine shafts of Zaporogues iron ore combine , mines of Yakovlevskii pit, Kursk Magnetic Anomaly, on brown coal mine shafts of Ukraine and on uranium pits. “UMCC” SOYUZSPETSSTROY ” has all the necessary licenses for design and construction of capital construction projects, as also security clearance. SRK Consulting is the world’s first one-stop consultancy offering specialist services to mining and exploration companies for the entire life cycle of a mining project from exploration through to mine closure. Among SRK Consulting’s approximately 1,500 clients are most of the world’s major and medium-sized mining houses, exploration companies, banks, petroleum companies, agribusiness companies, construction firms and government departments. Formed in Johannesburg, South Africa in 1974, SRK now employs approximately over 1,000 professionals in 46 permanent offices on six continents. A broad range of internationally recognised associate consultants are also available world-wide to complement the core staff. The SRK Group’s independence is ensured by the fact that it holds no equity in any project or company and that its ownership rests solely with its staff. This enables SRK to provide its clients with conflict-free and objective recommendations on crucial judgment issues. SRK Consulting employs leading specialists in each field of science and engineering. Its seamless integration of services, and global base, has made the company the world’s leading practice in due diligence, feasibility studies and confidential internal reviews. SRK Consulting offices in the countries in which it operates are staffed by international as well as local experts thus ensuring both technical and local context excellence. Turner & Townsend provides project control, cost, sustainability and risk reduction solutions that are right for each client’s business, straightforward to implement and yield a quick return. With more than 50 years’ experience Turner & Townsend is one of the leading global project and cost management consultancies in the mining sector. Our clients range from the biggest names (Anglo American, Barrick, BHP Billiton, Xstrata) to mid tier and junior mining companies as well as contractors, funders and other service providers. Active across Kazakhstan and the wider CIS for 15 years our team of locally based professional staff understand the project delivery challenges and demands that can affect the success of mining and infrastructure projects in the region. Working from 76 offices in 32 countries our local capability is enhanced by our mining sector global hubs providing very experienced sector specialists. Allowing us to meet clients’ needs and ‘make the difference’. VNIPIpromtechnologii OJSC is a full-service company that performs a full cycle of design and survey works as well as scientific and research works for: Building and reconstruction of companies that specializes in mining and processing of uranium, rare-earth elements, nonferrous metals ores and precious metals ores; Recovery of territories damaged by radioactive waste; radiation-dangerous works at handling, operating and liquidation of nuclear weapon and nuclear munitions; Building of nuclear-waste repositories and radioactive waste disposal facilities; Liquidation of industrial facilities that were build using nuclear technology; Handling of radioactive waste, reactor blocks and spent nuclear fuel from atomic submarine utilization. Such enterprises as Priargunsky Industrial Mining and Chemical Union, Navoi Mining and Metallurgy Combine, Leninabad Mining and Chemical Combine, Precaspian Mining and Metallurgy Combine were designed by VNIPIpromtechnologii OJSC. All its past and present achievements are the result of enormous amount of hard work of company’s workers. Many of our workers are awarded with the USSR Government Prizes and the Russian Federation Government Prizes. VNIPIpromtechnologii OJSC is awarded with the government prize – the Order of the Red Banner of Labour – for its valuable contribution to development of raw materials base of atomic sector. Currently VNIPIpromtechnologii OJSC is an engineering subsidiary company of ARMZ Uranium Holing Co. It performs design and survey works as well as scientific and research works for both companies of the Holding and the third parties. Seeking to comply with market demands our company is actively developing itself and its competencies and discovers new areas of activity. The Institute is located in Moscow and has its own exploration base in Moscow area and a branch in the city of Chita. The company has about 500 high-quality specialists. Their working places are upgraded with the modern equipment and software. Our highly skilled specialists are capable to participate in implementation of large-scale projects of development of atomic sector and mining industry. WAI has provided the mineral industry with specialised geological, mining, processing and environmental expertise since 1987, initially as an independent company, but from 1999 as part of the Wardell Armstrong Group (WA). Our experience is worldwide and has concentrated on the metalliferous mining sector and coal. Our parent company is a mining engineering/environmental consultancy that services the industrial minerals sector from nine regional offices in the UK and international offices in Russia and Kazakhstan. Total worldwide staff complement is now in excess of 300. The Group provides a wide range of services for minerals-related projects. This ranges from preliminary exploration planning, through reserve estimation, mine design and financial appraisal, to bankable final feasibility study. WAI has a strong client list, including companies and organisations from the private and public sectors, as well as many major lending institutions. In addition, WAI has been involved in many AIM and Full Board London stock exchange listings. ZAO “Krasnoyarskaya Drilling Company” provides its customers a full range of service, ranging from the drafting work, geotechnical investigations for any type of building, exploration, hydrogeology, and to Critical Design Review in TKZ (Territorial Committee for Natural Reserves) and GKZ (State Reserves Commission). The company has its own accredited laboratory soil, technology group, machinery and repair shop, as well as a large arsenal of drilling equipment. The imported machine Christensen CT-20, manufactured by Atlas Copco, became the company’s latest acquisition and allows borehole drilling of NQ size (76 mm) and depth of 2300 m. We are especially proud of qualified personnel whose skill is constantly improving during the production process at refresher courses. Constant supervising of all operating parameters of drilling allows us to achieve great results. Kazakhstan head Mining and Smelting Enterprises Design Institute, named “Kazgiprotsvetmet”, – the leading Kazakhstan Engineering Company. It was established in 1947 in Ust-Kamenogorsk city – the center of East Kazakhstan Region. The institute has 1 Category licenses for design and survey works, environmental design and regulation, and also it has the ISO 9001-2008 International Quality Management System certificates. It takes a part in self-regulated Engineering Organization of Sverdlovsk Region, Russian Federation. The Institute releases the multi-purpose innovation projects for construction and modernization of ferrous and non-ferrous, gold-mining, rare metals, rear-earth, chemical and machine-building industries, infrastructure facilities, ecology and also building industry.